I took a trip to Lush’s new Oxford Street store last week, and to say I was impressed would be an understatement. If you’re a Lush fan, as I am, then it’s not hard to get excited by three giant floors of Lush-based goodness, but the execution of the store is marvelous in itself, and the sprit of the brand is alive and well within each corner of the space. Particularly impressive is the Gorilla Gallery, which is a sensory feast of fragrance, music and, err, CCTV cameras, that showcases the intriguing olfactory facets, and inspirations, of many of the Gorilla fragrances. Anyway, I could wax lyrical about the store for a long time, and will perhaps do so in a post sometime (in the meantime, I’d suggest you head over to Manface to read his take on Lush, Oxford Street), but I’m hear to talk you today about something a little different – something that is not a fragrance and is therefore, a little bit off topic for me. The subject of today’s is ‘Fun’, a scented body product by Lush, and one that I discovered during my recent trip. Fun has many uses. 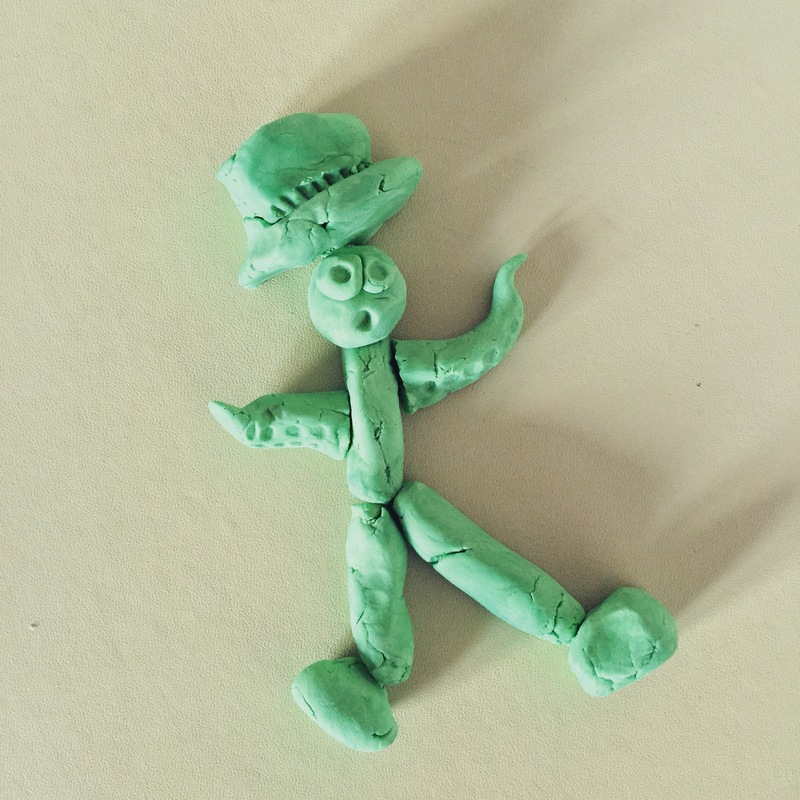 First and foremost, Fun has the consistency of Play-Doh and can therefore, be used as a playful moulding clay for making anything from dinosaurs to spaceships and aliens, to all that the imagination will allow. So if you are a child, have a child or simply possess the mental age of a child (a la moi) then Fun is a pretty nifty thing to have lying around (albeit a little bit crumbly). For example, I made this little guy below. He is called Burt. So far I’ve used my Green Fun as a soap in the shower and as a bubble bar in the bath. The results have been good. My skin feels soft afterward and a small amount goes a very long way. It builds to a nice froth on the skin and doesn’t leave any squeaky residue behind, nor does it dry my skin out. I’ve not tried it as a shampoo as yet, but as I have permed hair (and therefore damaged) I stick to a moisturizing shampoo and conditioner, otherwise I would exist as a frizzy mess, and nobody wants that. But how does it smell? That’s what you want to know, isn’t it? Green Fun smells like lemons and limes, freshly squeezed and full of zest. To my nose, there’s nothing more pleasing than the smell of fresh lime juice and in that respect, Green Fun is a winner. I’d quite like to see it as a fragrance, although I can imagine that, given its citrus-heavy notes, it wouldn’t be the longest lasting of scents. That said, it would make a super-perky cologne in the same vein as Gorilla’s tangerine-centric Sun. Sploshing about with some Green Fun is akin to stripping down and letting someone cheekily throw lemons and limes at you (with some candied rind along with something vaguely floral, and why not? Let’s chuck the lot! ), except without the inevitable bruises and head injuries. It’s a zingy and fresh wake-up call that smells just like ripe fruit squeezed and pulped. Yeah, it’s pretty good. 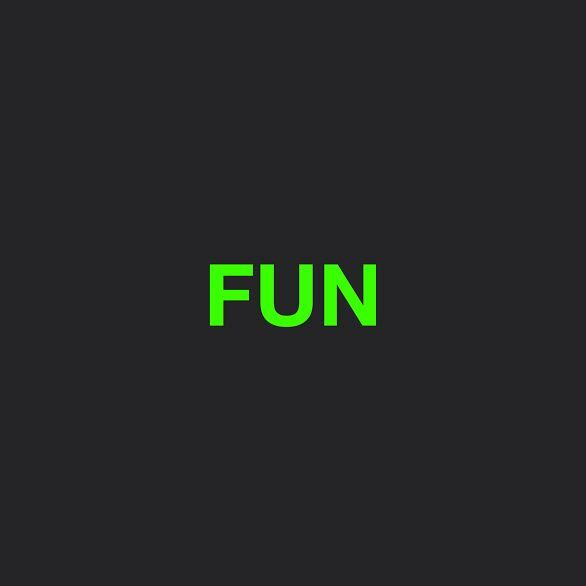 Fun is well, fun, I supposed. I’ve enjoyed its use in the shower and love how it is really rich in fragrance. It’s the type of bath/shower product that gives one a much needed lift on those mornings when the world may not seem as sunny and funny as one would like. The moulding capabilities are great for kids (I picked up a special set of ‘Monsters and Aliens’ Fun for my nephew) and would be a good product to encourage a tantrum-free bath time (this also works for temperamental adults as well, just ask my husband). I wont use it every day but I will definitely replace my stash of Fun when it runs out. My only advice is that a little goes a long way when showering, so only break of a small piece to avoid wastage. Fun is available at all Lush stores. Each block costs £5.00 and is available in five ‘flavours’; Pink (Tonka and Caramel), Red (Orange and Mandarin), Yellow (Vanilla), Blue (Lavender and Chamomile) and Green (Lemon and Lime). Review based on a sample of Green Fun I purchased myself. Images are my own. Appalling crafting skills are also my own. Posted in Lush and tagged Bath, Body Product, Bubble Bar, Fun, Green Fun, Lush, Play Doh, Review, Shower, Soap. Bookmark the permalink. I’ve been wondering about buying Fun but, with teen Sprog, we’d never get into our solitary bathroom again! Too risky. Still, what’s life without risk? Haha. You do need a bit of risk in your life! I have pretty good luck with a bunch of the LUSH! product, the stores I can only cope in for about 15 minutes before I’m completely engulfed by scent. I love it when they do pop up stores in malls, the scent can escape a bit. The stores are very strong, I must admit. The new one on Oxford Street is big and airy enough for the smell not to become overwhelming.